The Nelson Chamisa led MDC Alliance has come out gun blazing on the government’s dummy on its legal gurus drawn from South Africa, Kenya and United States hired to represent the youthful opposition leader’s Constitutional Court election petition that bid to overturn Zimbabwe Electoral Commission (ZEC) declaration of Zanu PF leader Emmerson Mnangagwa as the President elect in the 30 July harmonized elections. Chamisa’s legal team comprises of local and foreign lawyers including former President of South African President Nelson Mandela’s lawyer, Jeremy Gauntlett and Advocate Dali Mpofu among others. 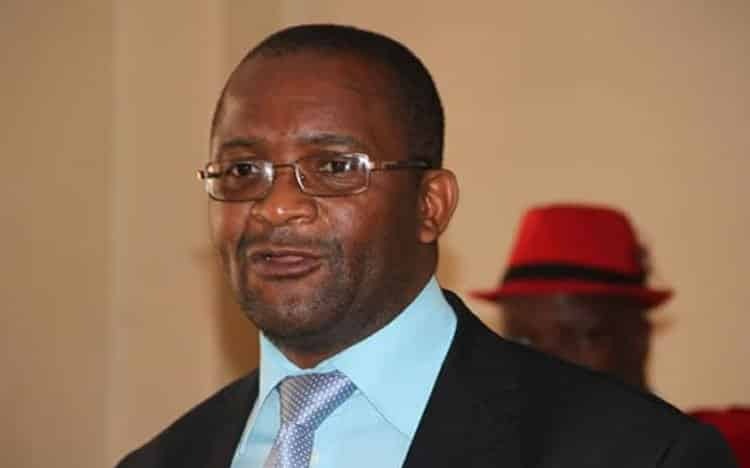 MDC Secretary General, Douglas Mwonzora in an interview with 263Chat slammed the minister of Justice and Legal Affairs Ziyambi Ziyambi for lacking professionalism charging the minister lacks experience in legal matters. “Minister Ziyambi Ziyambi is a very amateurish lawyer, is a very new lawyer and he may not know some of these things. I think he graduated about two, three years ago. The correct legal position is that those lawyers are eligible. “Jeremy Gauntlett actual represented the late Morgan Tsvangirai in one of the petitions. He has been coming in and out of Zimbabwe and there is no reason why he should not be allowed to practice. “A legal team is entitled to strengthen itself. Our view and the view of President Chamisa is that this is a case of both national and international importance,” said Mwonzora. Ziyambi is alleged to be sitting on the MDC foreign legal team applications that seek a green light from the government in order to represent Chamisa. Mwonzora’s statement comes on the back of President Mnangagwa’s remarks in today’s response to Chamisa’s head of arguments in what appeared to be a threatening statement drawing a backlash from MDC followers. “Everyone aiding or concerned in the presentation of an election petition should carefully consider and be advised upon the whole petition before adopting so a serious step and should weigh all the consequences that may ensue from either success or failure of a petition” reads part of Mnangagwa’s heads of argument. Posting on his micro blog twitter, United Kingdom based lecturer and former advisor to the late Premier; Morgan Tsvangirai, Alex Magaisa said Mnangagwa’s remarks threatens not only the litigant but also the whole judiciary personnel involved in this matter. “Why should anyone fear consequences of success of a petition?” queried Magaisa. Ziyambi had earlier in the day pledged to update this publication on whether the government will grant the foreign lawyers permission to represent their client confirming that indeed the application papers were at his desk and was going through them since they were submitted on Friday after hours. However, his mobile went unanswered later in the day. Meanwhile, briefing the media in the capital today Chamisa expressed confidence in his legal team saying they have been working tirelessly and they will succeed. “I have put together an A-team of experienced, tried and tested legal experts drawn from the best minds in the region and in the country. This team has been working tirelessly to protect your victory. I have confidence in them and in their assurances,” he said. The ConCourt hearing case is a litmus test for the judiciary to define a new political trajectory in the country post Robert Mugabe’s 37 years rule which has been described as despotic. The judiciary system in the country has over the years accused of siding with the ruling party Zanu PF with the opposition crying foul on verdicts passed in most of the political disputes.